Addiction, or dependence on a particular substance or activity, is one of the most complex areas of mental health. Addiction can often be difficult to treat, and there is a good deal of controversy surrounding the causes of addiction and the best approaches to treatment. Individuals who find themselves experiencing an addiction to drugs or alcohol often find the services of a mental health professional to be helpful in overcoming the addiction. What Leads a Person to Misuse Drugs or Alcohol? Research indicates that the vast majority of people who are addicted to drugs or alcohol have an underlying mental health condition or significant emotional/psychological difficulty. About half of all people with mental health diagnoses will face challenges with drugs or alcohol at some point in their lives, usually as a result of using drugs or alcohol to self-medicate. People who misuse drugs or alcohol often do so as a way of coping with experiences, memories, or events that emotionally overwhelm them. Whether they are equipped with appropriate coping strategies or not, people who misuse substances rely on the immediate gratification of drugs and alcohol as an alternative to facing the issues at hand. In the long term, however, reliance on drugs and alcohol will almost surely worsen any emotional or psychological condition. Chronic self-medication may be a sign that therapy is warranted in order to address an underlying condition or difficulty. A parent who has become addicted to alcohol or uses drugs is statistically more likely to abuse or neglect his or her partner and/or children, and when parents of very young children are emotionally distant due to alcohol and drug use, the attachment bond between parent and child is likely to be weak. A family affected by addiction may also experience financial difficulties, and in some circumstances, a parent may be imprisoned as a result of drug or alcohol abuse, potentially leading to long-term separation from children and often putting further strain on the family unit. Some children of adults who are addicted may have difficulties in school due to anxiety and other stressors that may be experienced as a result of their parents' addictions. They might also find themselves acting as parents to any younger siblings as well as the parent who is addicted, which can make it more difficult for the child to have healthy relationships with appropriate boundaries, later in life. It may also be difficult for parents to address the addiction of an adult child. Parents may feel responsible for their child's addiction or may be unsure of how to best help the child. In trying to help them overcome addictive behavior, they may at times end up enabling the child instead. In programs such as Alcoholics Anonymous, these parents can learn how to keep from enabling their child while still offering love. Often a counselor or social worker can provide assistance to parents in this area and help them find the best way to bring up the subject of substance abuse and addiction with their child. It is likely that all members of a family until will be affected when one member of a family experiences an addiction. Early acknowledgment and treatment of the substance abuse or addiction may have significant benefit in promoting recovery and preventing long-term negative effects, both on the health of the person who is addicted and on the bonds between family members. Therapists who specialize in addiction recovery can often help people who are addicted set achievable and empowering short-term goals as they work to overcome their addiction. Once sobriety is achieved, adaptive skills can be developed as the person works to regain physical and emotional health, and the therapist can begin to explore the source or cause of the addiction with the person in treatment as the person begins to employ the new coping strategies. Together, the therapist and the person being treated can work to set long-term goals that may include rebuilding damaged relationships, accepting responsibility for actions, and releasing guilt. People sometimes fear seeking help for drug addiction due to concerns of legal consequences or, when the person who is addicted is a parent, the involvement of Child Protective Services. However, privacy and confidentiality in substance abuse treatment is mandated not only by professional ethical guidelines and, usually, state law (like all mental health treatment), but also by special federal laws. Self-medicating with alcohol: Clara, 57, has been a heavy drinker of beer and vodka for almost 45 years. However, since her husband’s alcohol-related death, her drinking has increased dramatically: Instead of weekend binges and a few daily cocktails after work, she has taken to drinking throughout each day, and she recently lost her job for missing days while hungover. She was also arrested for driving drunk and lost her license as a result. She is estranged from her two children, who, she believes, blame her for their father’s death. Clara recognizes her problem, but her anxiety and depression compel her to continue self-medicating. Eventually, she is convinced by a friend that she needs to seek help. She knows that she cannot quit on her own, so Clara agrees to enter a treatment facility. With medical help, she is able to maintain sobriety, and she begins an intensive program of therapy and 12-step groups after she leaves the facility. Soon, she begins to deal with her grief, not just over the death of her husband, but also over the many losses and regrets that come from a life spent intoxicated. Facing these realities tempts Clara to drink, and she suffers several relapses, but she is eventually able to break the habit of drinking and begins to restore her relationships with her children, which brings her a great sense of healing, accomplishment, and peace. Family problems and teen drug use: Billy, 17, has begun smoking marijuana frequently and, as his senior year of high school begins, he begins to experiment with harder drugs—cocaine, LSD, and Valium. He has already been accepted to college and verbalizes that he sees “no reason to do anything but party.” His parents are very concerned and admonish him constantly to quit, but he meets their pleas with disdain and derision. Family sessions reveal deep hostility between Billy and his strict father and a growing distance between his mother, who experiences both anxiety and a depressive mood, and her son and husband. Therapy centers on enhancing communication and emotional expression, as well as the establishment of new boundaries that are more appropriate to Billy’s transition from youth to adulthood. When Billy’s parents back off, his drug use curtails, though he still smokes marijuana and drinks alcohol at parties. Soon, Billy asks for help getting his drinking habit under control, his father enters into individual therapy for anger issues, and his mother, who is now in individual therapy and taking an antidepressant, files for divorce. Billy leaves home with a great sense of relief and continues therapy in college, eventually becoming a peer counselor in order to work with other students who are trying to stay healthy and abstain from drug abuse. Alcoholism. (2012, August 09). Retrieved from http://www.mayoclinic.com/health/alcoholism/DS00340/DSECTION=treatments-and-drugs. Can you overdose on marijuana? (n.d.). Retrieved from http://www.newhealthguide.org/Can-You-Overdose-On-Marijuana.html. Drug overdose in the United States: Fact sheet. (2014). Centers for Disease Control and Prevention. Retrieved from http://www.cdc.gov/homeandrecreationalsafety/overdose/facts.html. Fonseca, F., Gilchrist, G., and Torrens, M. (2012). Integrating addiction and mental health networks to improve access to treatment for people with alcohol and drug-related problems: A qualitative study. Advances in Dual Diagnosis, 5(1), 5-14. doi:http://dx.doi.org/10.1108/17570971211225127. Genetics of alcohol use disorder. (n.d.). Retrieved from http://www.niaaa.nih.gov/alcohol-health/overview-alcohol-consumption/alcohol-use-disorders/genetics-alcohol-use-disorders. Lander, L., Howsare, J., & Byrne, M. (2013, July 27). The impact of substance use disorders on families and children: From theory to practice. Retrieved from http://www.ncbi.nlm.nih.gov/pmc/articles/PMC3725219. 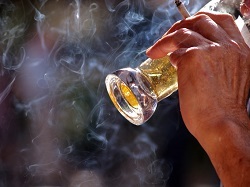 Understanding alcohol use disorders and their treatment. (2012). American Psychological Association. Retrieved from http://www.apa.org/helpcenter/alcohol-disorders.aspx.